Flickr Pro is making a return to the image sharing network. Flickr has announced that it is bringing back the Pro service with improved insights and analytics.Yahoo’s Flickr underwent a big revamp in May 2013 in which it introduced many changes. Yahoo announced that it is removing the Pro plan to give every user 1TB free storage option. The company also introduced an ad-free version for $49.99 (roughly Rs. 3,200) per year. With the new announcement, it is taking a U-turn. With Pro, it is bringing back the paid plan. The paid subscription will cost users $5.99 (roughly Rs. 380) per month – or $49.99 per year. With that, you also get a 2 percent discount on Adobe Creative Cloud’s Photography plan. 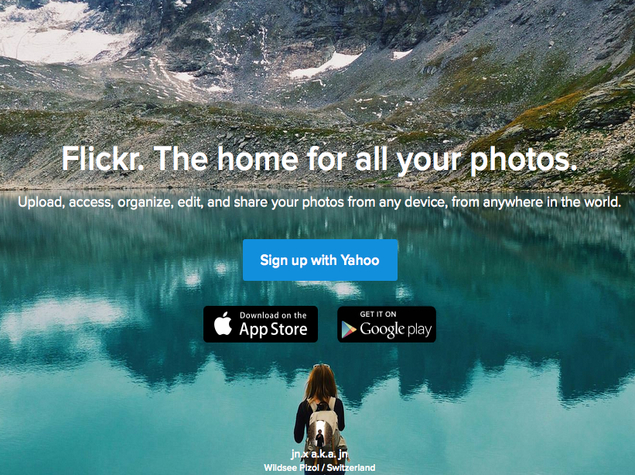 If you paid for the ad-free version, you will be automatically upgraded to Flickr Pro. In addition, Flickr says that it will provide free shipping in the US on purchase of its merchandise and 50 percent off on international shipping with a $25 (roughly Rs. 1,600) minimum purchase. But what’s interesting about the new Pro subscription is its improved analytics. The company said that photographers will be able to use improved navigation for viewing data on their photo. The company is also providing improved stats for checking how well did your photos fare. And of course, Pro subscribers won’t see any ads on the site. Flickr will also add a badge to your account to let the world know that you’re a paid subscriber. Once dominant among photography communities, Flickr today faces stiff competition from services like 500px and SmugMug. It will be hoping to attract new users with the latest announcement, and keep its existing subscribers satisfied.